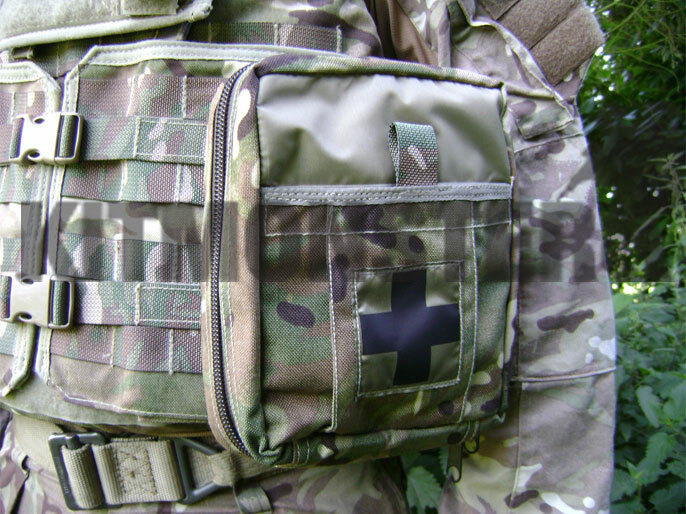 Genuine UK Military Issue Medical Pouch in MTP for Osprey Body Armour Covers MKIV and IVA. 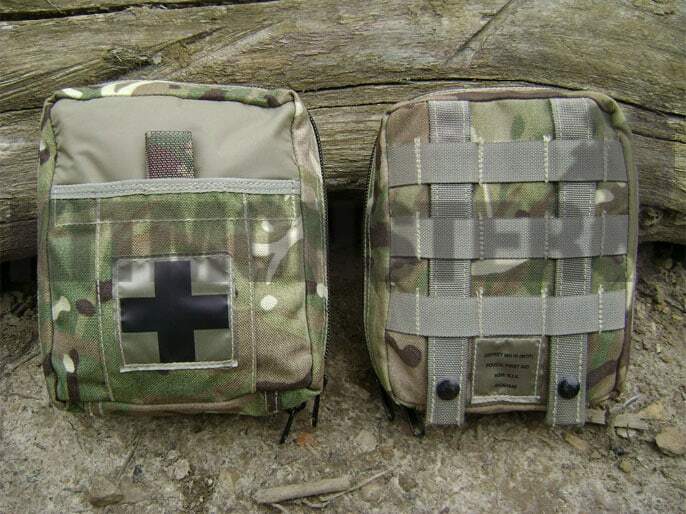 British Multi Terrain Pattern First Aid Pouch with 'Rapid Access' feature. Near new condition. 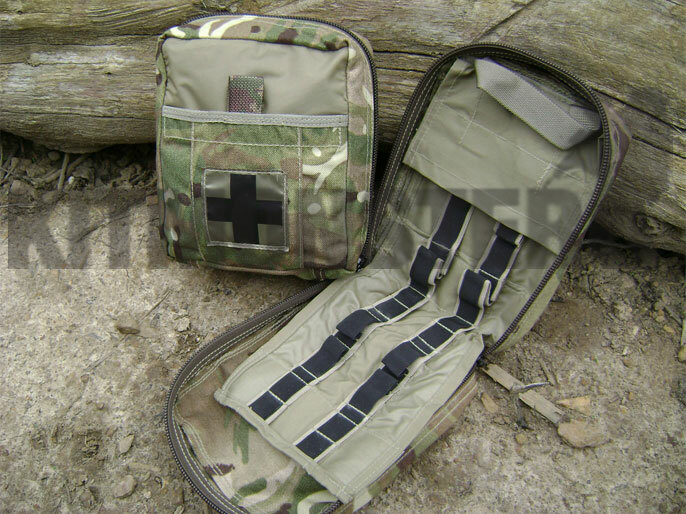 Issued as a personal Aid Kit Carrier, these accommodate the issued items: 2x CAT, 2x FFD, Morphine 'coffin', with plenty of space for extras such as air ways and gloves. 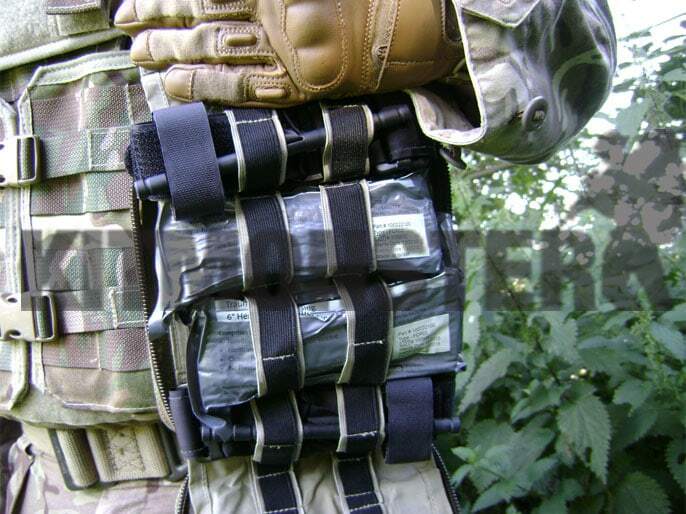 3 sided, 2 way zip closure with outsize pull tabs for cold or gloved hands. Measures 19 x 23 x 6cm. 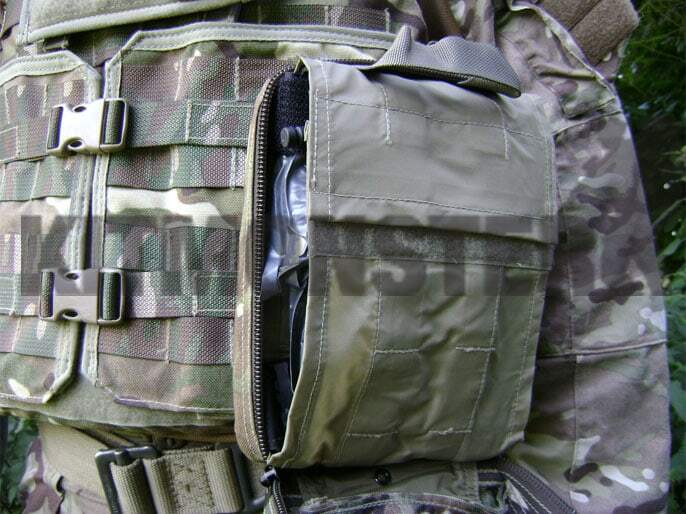 Velcro lined with removable internal organiser. Organiser in light olive colour with multiple retaining/dividing loops and grab handle. 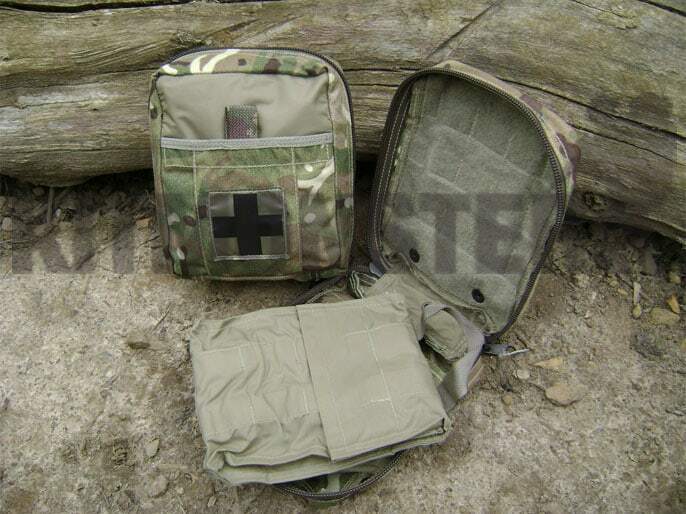 Slip pocket on front and inside for MIST AT cards and Battlefield First Aid Aide Memoire, both with Velcro closures. Nylon panel on face for user to write zap number and blood group, printed first aid cross symbol patch below this. 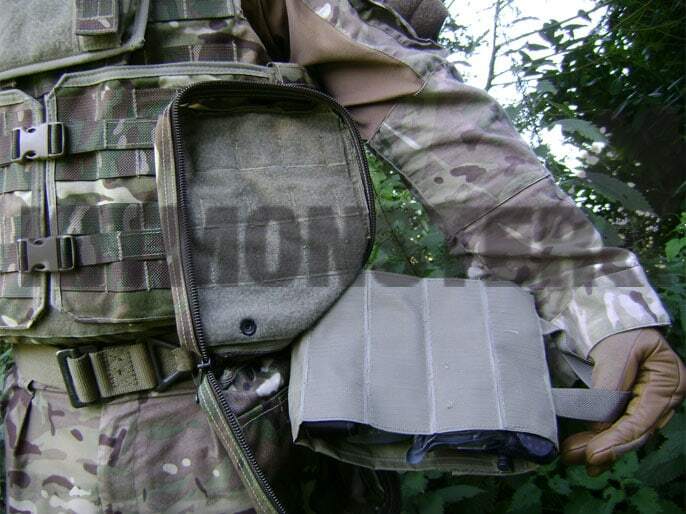 The combat specific design allows the contents to be removed from the pouch (see images) and placed alongside the casualty, or easily passed or thrown to others. Multiple views shown, single empty pouch supplied. Contents for illustration only, and are not included. These are: 2x FFD 6" (Israeli type) and 2x CAT Tourniquet. These items are also available from Kit Monster, please see separate listings to buy. Osprey Armour for illustration only, this is not included.